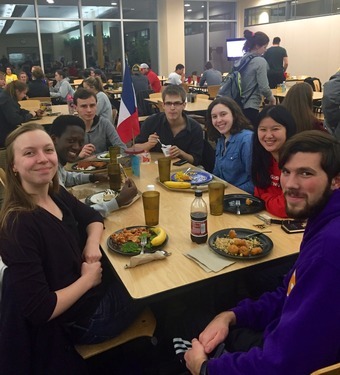 La table française meets every Tuesday from 6:00 pm to 7:00 pm at the cafeteria. It is a good opportunity for students to meet and talk in French with Les officiers of the French Club, faculty members and students about different topics, and also share their unique experiences learning French. Look for le tricouleur ("the French Flag") to find us! 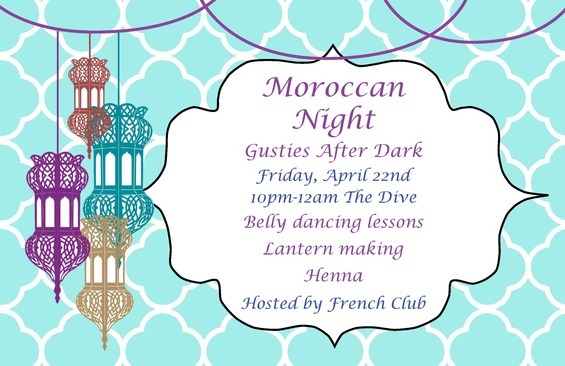 Come join us for a Moroccan Night for Gusties After Dark in the Dive 4/22 @10pm-12am. There will be henna, a mason-jar latern craft, and a lesson on traditional Moroccan Dance. Come, bring friends, and enjoy! 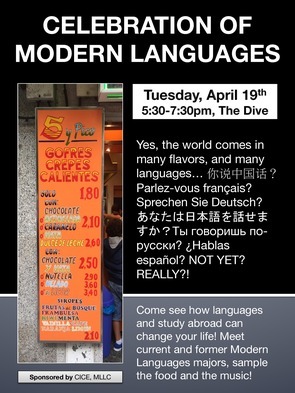 The Modern Language department will be hosting a "Celebration of Modern Languages" on April 19 @5:30-7:30 pm in The Dive. 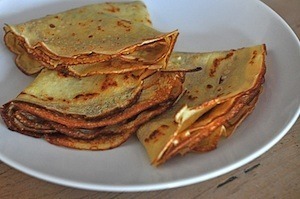 Come participate in fun language activities, try cultural foods (like crêpes!) 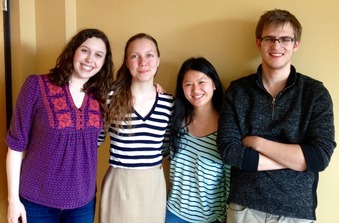 from the different language departments, and learn more about study abroad options with a panel discussion about languages and studying abroad @6-7pm.